IT WAS NO ACCIDENT when they chose Bloomington to be the home of the largest mall in the United States. Beyond the shopping sprees and indoor theme parks lies a woodland town on the banks of the Minnesota River, a gateway to an extensive system of hiking, biking, and endless shoreline exploration. It’s also perfectly urban — positioned just outside the Twin Cities, Bloomington is only 15 minutes from downtown Minneapolis, 20 minutes from downtown St. Paul, and five minutes from the international airport. So while Mall of America often looms large over Bloomington, that’s only because of its size. The rest of the city is very much alive — and we have 10 points that prove it. 1. Your Saturday afternoons are covered. Bloomington is big enough of a city for variety, small enough that we effortlessly keep it local. You’ll see this firsthand on Saturdays from 8am to 1pm in the Bloomington Civic Plaza — walk through the massive farmers market to grab local honey, taste freshly popped kettle corn, listen to live music, and browse handmade art. There are markets held indoors in the colder months, too. Then go down the road and check out another local favorite: Gyropolis. This family-owned Greek restaurant grows their own vegetables over in Farmington, and lines are out the door for their spicy gyros and tasty cucumber sauce. The brothers who run it go back to Greece each year (to the place their father grew up) just to pick the wild oregano they use for their epic Greek dressing. 2. Your ride is covered, too. Bloomington is the obvious place to stay when you’re trying to navigate in and out of the Twin Cities. 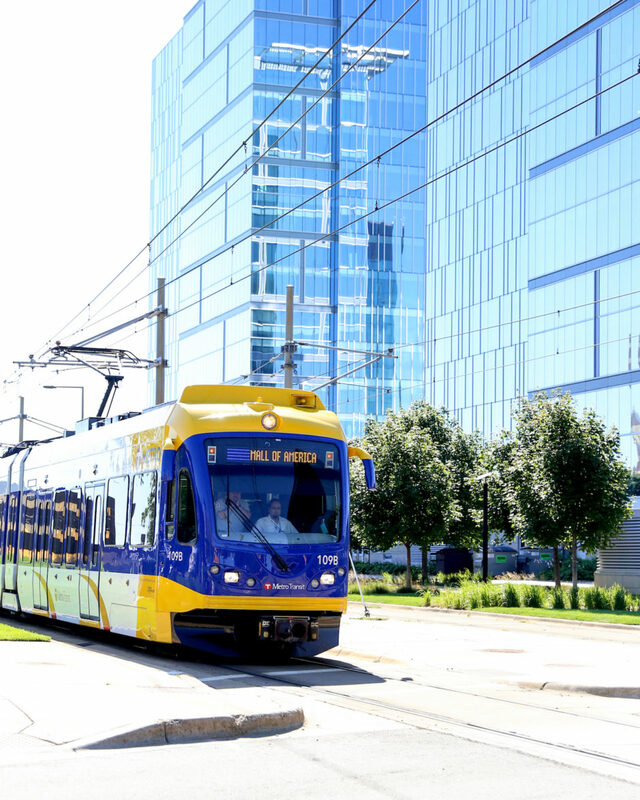 The Blue Line (part of the METRO system) will get you to Minneapolis–Saint Paul International Airport within five minutes from Mall of America Station. And that’s without having to worry about parking, cab fare, or traffic. The kicker? The ride costs just $1.75. Definitely don’t rent a car just to get to Minneapolis, either. If you’re catching a ballgame at Target Field or have theater tickets downtown, the Blue Line is still the way to go. Whiz by the traffic and be in your seats without the rush-hour hassle and parking fees, and it’ll cost you a maximum of $2.25. Take that, Bay Area, DC, and just about everywhere else. With five stations in Minneapolis, you can get anywhere you need to be on the light rail from Bloomington Central Station. Here’s an idea: Make a day out of the light rail from Bloomington to Minneapolis and explore a few of the stops en route. Start at Fort Snelling Station (after touring the historic fort) and hop off at beautiful Minnehaha Park Station (and Minnehaha Falls), have lunch at Sea Salt, and finish off in Minneapolis at Nicollet Mall Station for a few pints at Brit’s Pub or The Local. 3. We are masters of tranquility. Open 365 days a year, the Normandale Japanese Garden is free to enter and has more than 300 plants, shrubs, and trees designed to transport visitors to a more peaceful state of mind. Walk among the koi ponds, waterfalls, taiko-bashi (drum-shaped bridges), willows, and Japanese-sculpted evergreens that execute the vision of Takao Watanabe, a professional garden architect from Tokyo who came to Bloomington to volunteer his time and construct this magnificent work of art. 4. We only get better during winter. When life hands you heaps of snow, you make hills for skiing. At least, that’s what Bloomington did. Hyland Hills Ski Area has some of the best and most challenging terrain in the area, with 14 groomed trails on 35 acres. In fact, in the 1990s, Hyland led the winter-sports charge — they were the only ski area in the Twin Cities to allow snowboarding. And in winter of 2015, they continued charging forward with their new Hyland Chalet. If you’re not a pro (skiing- or snowboarding-wise), no judgment here. 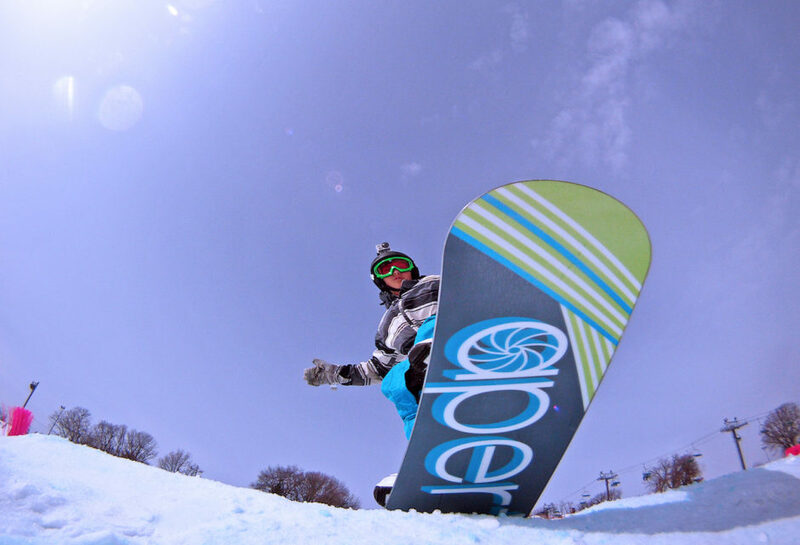 Hyland Hills offers SnowSports Academy, with some of the best instructors in the Midwest. Choose from private, semi-private, or group lessons based on ability and see if you can master the black diamond “French Cliff” run at the end of your lesson. 5. You should come hungry. What other city of 90,000 people has 42 million visitors annually? Seriously. And you know what that means — small city prices with big city options. If you’re here for a weekend, spend your late mornings brunching at Ike’s Food & Cocktails. They’ve got a vintage, almost speakeasy-meets-diner feel — picture dark mahogany walls, an impressive marble bar, and tablecloths, but also a menu featuring milkshakes, burgers, and chili. The Weekender Bloody Mary is almost a meal in itself — Ike’s has spent years perfecting the art of brunch and doing it right. For date night, check out Urbana Craeft Kitchen & Market — their produce is literally grown onsite. There’s also Parma 8200, which is traditional no-fuss, no-fusion, old-fashioned Italian cuisine at its finest. And if you’re looking for a more casual scene, try Lucky’s 13 Pub. There’s live music on weekends, always-fresh popcorn, an extensive menu, and hand-crafted cocktails so good (try the Cucumber Mule) even the most discerning of those 42 million would approve. 6. Our wildlife is closer than you think. Bloomington comprises such a tremendous amount of park land that it makes up nearly a third of the city. The name itself means “flowering field,” chosen after early pioneers moved to the area in 1851 and found it more than fitting. It should come as no surprise, then, that you can access the 14,000-acre Minnesota Valley National Wildlife Refuge right out of town. 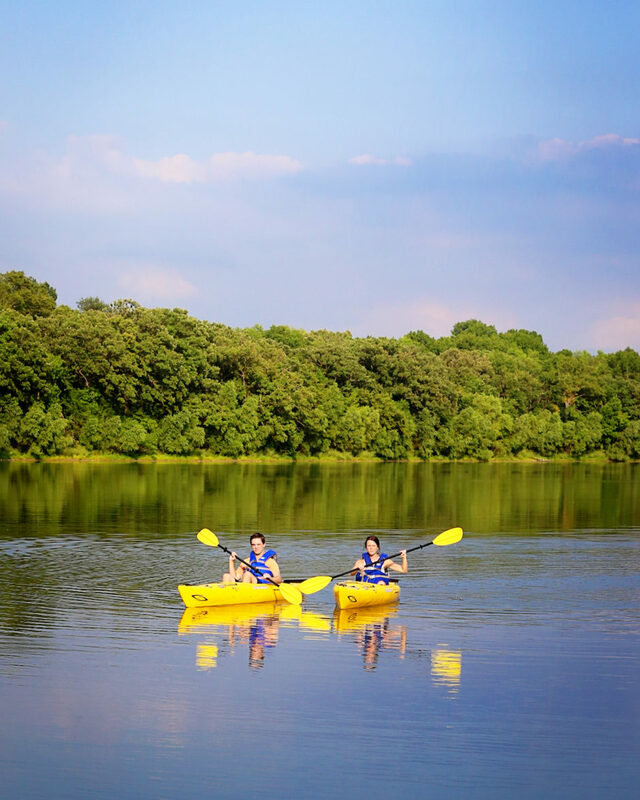 Explore the wetlands as you paddle, boat, hike, or bike for 70 miles along the Minnesota River. This is one of only four American national wildlife refuges in an urban area, and it’s the largest. 7. We know how to keep it cool. As if Mall of America weren’t enough, Bloomington is also home to the Water Park of America, and though it may not be as large as MOA, it’s certainly as impressive. It’s home to the tallest water slide in the entire country, has a slide tower, a wave pool, body slides, cave-themed hot tubs, a lazy river — the list could last all day. Odds are you’ll tire before the kids do, so when you’ve finally taken your last float down the lazy river and your fingers are turning into prunes, walk over to the Northern Lights Arcade. Parts of it are totally old school, with games like Pac-Man, skee ball, and pinball — but there’s state-of-the-art stuff, too. When the kids finally get out of the water, distract them a bit longer by pointing out the new Batman Laser Maze. 8. Your creative side can shine here. The arts play a big role in Bloomington, and Artistry at Bloomington Center for the Arts is a huge part of that. 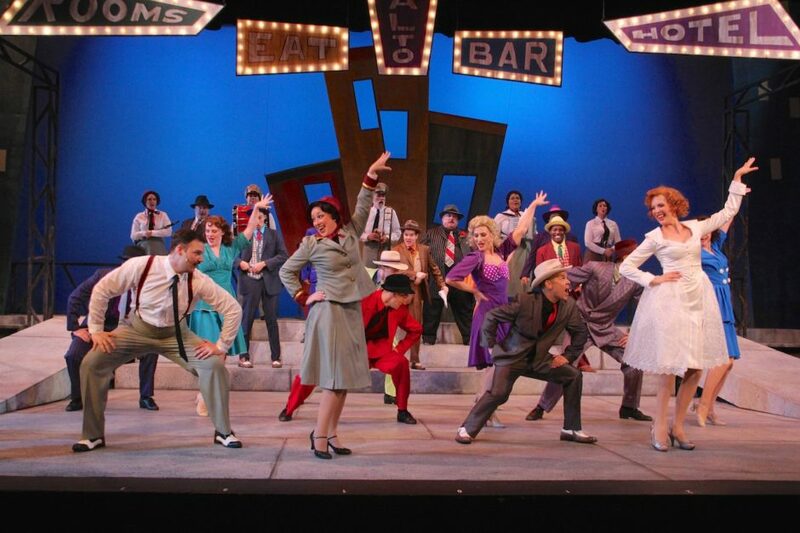 The Center puts on live theater in their 366-seat auditorium (think Little Shop of Horrors), while Artistry offers workshops for all ages on clay, painting and drawing, fused glass, watercolors, comic arts, and much more. Here’s a tip for a special occasion idea: Artistry has something called “Art Parties” — great for kid’s birthday parties and special family events, they’re designed to inspire and challenge young kids with new art forms and skill sets. But who are we kidding — adult coloring is totally therapeutic, so you don’t need kids for an excuse to check this out. 9. It’s always winter when you want it to be. Bloomington does it B.I.G. — which is why the city named their indoor skating rink Bloomington Ice Garden. It’s expanded into three rinks since 1970, one of which is Olympic-sized and has a seating capacity of 2,500. Because of this tremendous growth, B.I.G. means open skating, skate school, adult hockey, and even pond hockey all year. There are also specialized offers like the Therapeutic Badge Program to help physically challenged skaters develop skills and enhance their skating experience. Bloomington is big on encouraging staying active through unique activities — with year-round options accessible here, it’s easy to break a sweat and keep healthy. 10. You’ll experience the Pinnacle of Minnesota. Bloomington is home to one of the flagship REI stores — which makes sense, considering all the outdoor activity in the area you’ll need to stock up for. And while people come here simply to get equipped, most also find themselves marveling at the Pinnacle climbing wall looming above them. Located right in the heart of Bloomington, Pinnacle has open-climbing Thursday through Sunday for $10 (members free), and REI runs climbing classes if you really want to get serious. Clearly, this is the right place to do it.